“We used One Six Events for our wedding in June and from the moment of our first enquiry through to the day itself, Rich, Freddie and their team were nothing short of amazing. 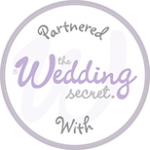 Organising a wedding for so many people was a daunting prospect but Rich completely took away any stresses or anxieties we had. He always made himself available to answer questions and offered up so much additional expert help and advice along the way. We only saw the marquee for the first time on the day they arrived to set it up and it exceeded all our expectations. Photographs really don’t do it justice, it is stunning, the most beautiful marquee I have been in. The guys dedicated themselves to us for the next two days setting up inside and out, making sure every small detail was just right. The standards they hold themselves to are so high and it really made such a difference working with a supplier who had the same vision and expectations for the day as we did. “One Six Events delivered an exemplary service from start to finish for our fantastic wedding day. 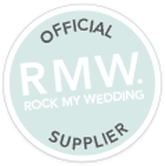 Rich and Freddie’s enthusiasm and ‘can do’ attitudes were so refreshing compared to other marquee providers who all seemed very stuck in their ways. Nothing was too difficult or complicated, and the team’s ability to deliver on all the requests, as well as overcoming the unforeseen difficulties, cannot be faulted. The end result – a stunning marquee, in a stunning location! The service offered was extremely professional, whilst being laid back enough that we felt comfortable and supported in changing our minds on certain design details right up to the last second (sorry!). We certainly got the feeling that Rich, Freddie and their team wanted the marquee to be perfect in every way and they didn’t disappoint. It was beautiful, and all erected and dismantled very efficiently as advertised. This company’s passion for customer satisfaction was palpable, and we genuinely felt so lucky to have such a dedicated and passionate team play such a huge part in our special day. “Freddie, Rich and the gang were great to deal with from start to finish. They returned phone calls and emails promptly and always appeared calm and confident. Freddie and Rich came up to London to meet us to discuss all the details and made us feel very happy about our decision to choose them. As the date drew nearer, they let us know exactly how it would all work in the days leading up to the wedding. Sure enough, from the Thursday onwards, they were on hand as the marquee went up and the furniture began arriving which meant we were able to remain relaxed with no last minute hitches. “One Six events are a fantastic marquee company providing the most beautiful traditional tents. Their attention to detail and professional approach both with the clients and the suppliers is outstanding. ​Having worked in the events industry for a few years now I know what a good product is and One Six have got it. Freddie and Rich are a delight to work with and make everything so easy. 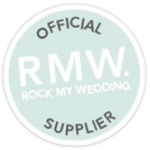 “Great service, we used One Six Events for our son’s wedding at our house. They supplied two marquees, one for the service and the other for entertaining. Inside they supplied lighting, tables, chairs flooring etc. They even worked out how to link a traditional marquee to our oak party barn. “The team at One Six Events are nothing short of perfection. I truly had the best day of my life, made even better by their professionalism and enthusiasm for our special day. I felt completely confident with them. ​They excel in their bespoke commissioning of furniture and bar equipment, making the gorgeous marquee all the more beautiful. “We had a totally brilliant day and you were a delight to deal with. Nothing seemed too much trouble, despite our rather ambitious floral arrangements and the fabulous bar! It all worked perfectly for us and the clear up happened with minimum fuss. As you know, this is our 4th wedding and your tent was the loveliest one we have had. In some ways, I am sad that we won’t have another wedding here but One Six Events came up trumps so we can finish on a high.